Robert Brevard Wood was born on 24 January 1907 in Texas. George Mark Wood and Fannie McCune appeared in the US federal census of 15 April 1910 in Grimes County, Texas, living between Howard and Carrie McCune (Fannie's brother and George's sister) and John Ollie and Katie McCune (also Fannie's brother and George's sister).. Other members of the household included Robert Brevard Wood. George Mark Wood and Fannie McCune appeared in the US federal census of 1 January 1920 in Richards, Grimes County, Texas. Other members of the household included Robert Brevard Wood, Mark Campbell Wood. He married Mildred Gertrude Hurst, daughter of William Howard Hurst and Helen Elizabeth Uzzell, on 4 December 1928 in Richards, Grimes County, Texas. In 1940, Robert Brevard Wood was living in Shepherd, San Jacinto County, Texas. 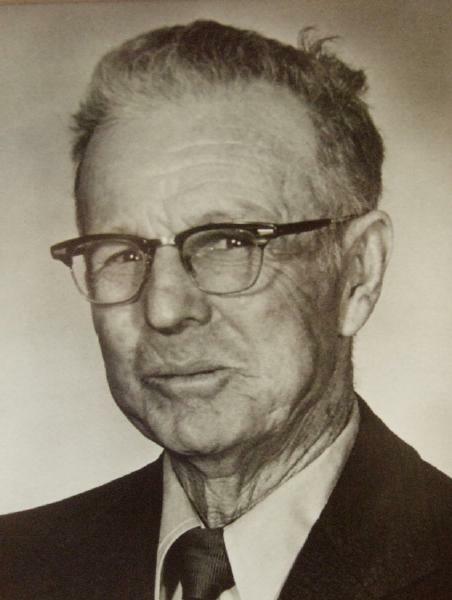 Robert Brevard Wood was Grimes County Treasurer 1953-1959. Robert Brevard Wood became a widower at the 7 July 1987 death of his wife Mildred Gertrude Hurst. Robert Brevard Wood died on 4 April 1993 at age 86 in Richards, Grimes County, Texas.